We pride ourselves on the regular events that bring our local community together. If it’s our Crown Bazaar, Casks and Cars Weekender or turning on the Christmas lights, we’ll tell you all about it right here. Monday Pub Quiz Night, every first Monday of the month. Always welcoming newcomers! Bursting with vibrant summer flavours, we’ve made a number of new additions to our menu inside the pub. 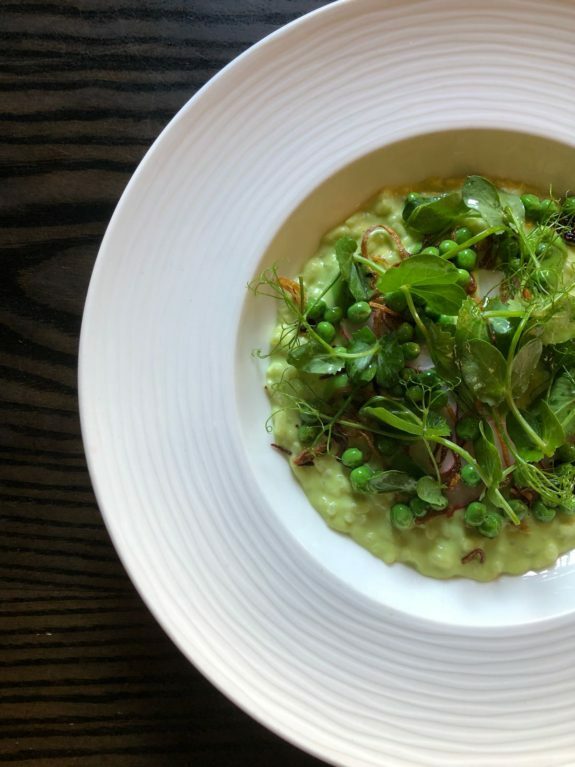 From refreshing smoked chicken caesar salads, to silky smooth pea risottos, to indulgent fish finger sandwiches, these dishes bring a touch of the summer sunshine inside our old English pub. Call our reservations team to book your table now on 01628 621936. Conjuring magical days of summer festivals, amusement parks and BBQs with friends, the Hot Dog has a special place in all our hearts. This sensational street food is simple, yet salivatingly good – the meaty sausage sandwiched between the soft white finger bun, served with your favourite sauces and, if you’re Heston, you can’t resist a sprinkling of crispy shallots for that additional sweet crunch. In honour of this distinguished day, we will be serving a complimentary side of Fries to all who choose the BBQ hot dog from our Garden Menu on Wednesday 18th July. 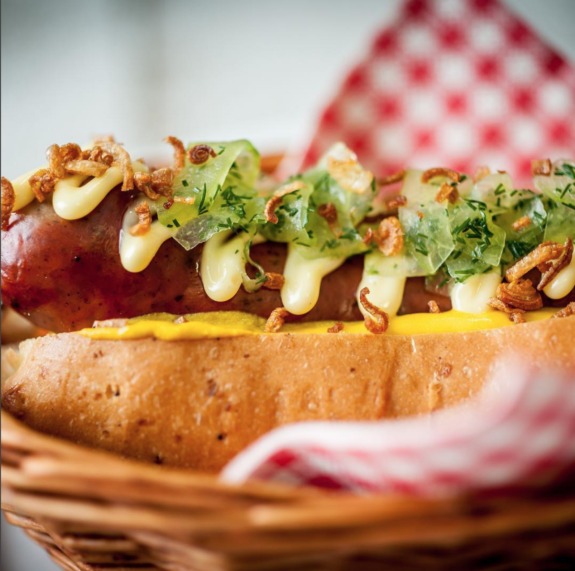 Hot Dog, Dill Pickled Cucumber & Crispy Shallots + Complimentary Fries. We look forward to celebrating National Hot Dog Day with you! Whether it’s a big celebration or a relaxed catch up, The Crown Garden is the perfect spot to enjoy great food and drinks with friends and family this summer. 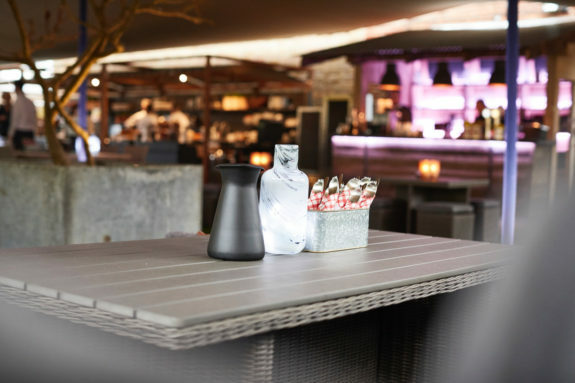 Packages offer a plentiful selection of BBQ dishes cooked in our Outdoor Kitchen for up to 10 people per table, with premium packages offering wine, champagne and ‘All you can eat’ BBQs. Please click HERE to view packages. Available at 12pm or 6pm, Wednesday to Sunday throughout summer. We can book parties for up to 30 guests (three tables) and exclusive use of The Garden can also be arranged. So gather your friends and family and plan that special occasion in our Garden oasis – this magnificent sunshine beckons to you! Call our reservations team to book now on 01628 621936. Copyright © 2019, Corona Realty Limited t/a The Crown, All rights reserved.